Over the past two+ years I have been slowly working my way through the Cisco's Data Center Cert Track. There have been a couple times that I got side tracked via completing other certs, coaching youth sports, or just working eating up time. My day job has had me do lots of 1K/2K/3K/5k/7K. Nothing really interesting with FabricPath, LISP, EVPN, or OTV (yet). I have done a little UCS. A big hole in my knowledge base is ACI. That became glaringly apparent during the written exam. So, I have been starting my studies in reverse order of the blueprint, and hitting ACI hard. Specifically, trying to read through all the latest 2.X config guides, and design guides. Also, I have read Cisco BGP EVPN VXLAN book, Cisco's ACI book, and the Cisco ACI cookbook. Next step for me is to hit the ACI labs hard. Currently trying to work on getting access to an ACI setup either via rack rental, or ACI simulator. Hopefully, this "Diary" will be my daily accountability about for what I did for every single day. Currently it is 64 days until the boot camp, 10 days at the boot camp, and I think about 71 days after the boot camp till my target lab date. So to start off, today I finished the last nine videos in Jason Lunde's ACI video series, and finished reading the ACI L3 Networking Config Guide. Yesterday, I started to look at, and deploy UCS Director. Actually need to use it at work. Hopefully, it will help the studies as it is on the blue print. In addition, it will get me out of Vlan change hell. Also, read a little on Python, and watched a couple videos on Python on YouTube. Overall, yesterday was busy, and had changes last night so didn't get a ton done. 62 Days till CCIE DC boot camp, and 143 (approximate) till first lab attempt. Continued working on deploying UCSD at work. Continued to read the UCSD fundamentals guide. Also, hit up Jeremy Waldrop's blog, and theithollow.com for some UCSD blog posts. In addition, looked at one video on Cisco's website with UCSD. Watched a video on Python on YouTube. They are from David Bombal, I do recommend his videos. Also, I got in an ACI lab on Cisco's Salesconnect. That was pretty good to get a few concepts in. 61 Days till CCIE boot camp, and 142 (approximate) till first lap attempt. More UCSD at work. It is a slow deployment process due to factors outside my control. Found some UCSD videos from Cisco but for some reason I couldn't go full screen to see what is going on. Found the exact videos in the link below directly on Vimeo so it makes watching a lot better. Continued to read the UCSD Admin Guide, and didn't make it back to the Fundamentals Guide yet. 59 Days till CCIE boot camp, and 140 (approximate) till first lap attempt. Did you get all 3 of your CCNA's before moving on to NP studies, then complete all NP's, now onto IE? No, it has been a weird and winding road for me. Originally, I started down the CCNA/CCNP R&S path. Not long after I finished the NP, moved to another company. There, I was titled as a "Senior Network Engineer." However, what I was really doing was "Senior Network Security Engineer." Basically, my job aligned with Cisco's security track almost exactly. (Yes, even CBAC, and few other off the wall technologies.) 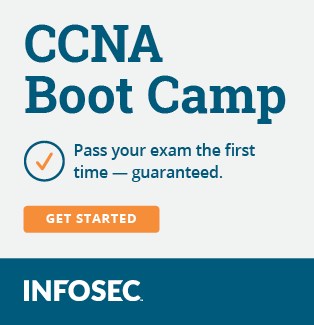 I took the CCNA Security then, and passed. Shortly after my company went belly up. I moved across the country to get a job where I could get more experience on BGP, and larger scale networks. At that point I went down the path of doing the CCIE R&S written. Shortly after getting the written done, I got frustrated in the beginning of my lab studies and ended up quitting studying. Through the next couple of years, I did the DA/DP to beef up my resume, and because my job was design focused. Then, I started to work mostly on data center technologies. Initially, it was just some 5K/2K stuff but a little bit later, my org bought some FlexPods. So, I started to head down the DC path. Before starting the DC studies, I did some F5 work so I did that cert because, why not? Company also paid for a week long ITILv3 boot camp so I attended that and knocked it out. In the middle of the DC track, the company was bringing in a trainer for NSX. We were seeing customer demand for it, and the agreement was to attend the class you had to get the cert. Time passed, and I got caught up in the exam update for VCP-NV to VCP6-NV. I had to take the foundations exam for VMware, and since I didn't have any real experience with VMware it took awhile. Bottom line, for anyone new out there, I would recommend just picking a track you are interested in, or one you get tons of exposure to, and just go straight through to the CCIE, or get the "expert" level cert in whatever track/profession you interested in. It's worth a lot more to have one CCIE than all the certs after my name. 58 Days till CCIE DC boot camp, and 139 (approximate) till first lap attempt. Worked on the UCS Director 5.5 lab on Sale Connect yesterday. Cisco is shutting down Sales Connect at the end of the month. The labs are there but had some trouble. The browsers had no flash, and a couple other issues. Took me a couple hours to get half way through the lab. Got half way through to the final bit about using Bare Metal Agent with UCSD, and there was some missing pieces so I could progress any further. Kept reading a "Python for Dummies." 57 Days till CCIE DC boot camp, and 138 days (approximate) till first lab attempt. Been a few days. Tried to do the ACI/vASA/FTD lab on Salesconnect yesterday. Wasn't what I expected to say the least. There is a series of five videos on Salesconnect for ACI integration into UCSD that I watched. (Want that time back.) Continued to read UCSD docs. In addition, because of work, started to read up on QoS on the N7K. It is brought up in the NXOS fundamentals book. However, that barely scratches the surface of what is going on. Been digging on the N7K QoS Config Guide for 7.X, and a few other knowledge base articles. 53 Days till CCIE DC boot camp, and 134 days (approximate) till first lab attempt. Been way to long time since I posted an update. Went through David Bombal's network programmability series on Youtube. Definitely worth checking out. Completed another UCSD lab on dCloud. The Install/Configure UCSD lab was worth the time. Still working on getting UCS-D up at work. Issues in the lab at work have been delaying the deployment. Continued to read up on Jumbo MTU, and QOS in general, for the Nexus 7K. That has been eye opening. Turns out there are two ways to get Jumbo MTU working on N7K with F-Series line cards: setting the mtu directly on the L2 to the same value as the "system mtu" command, and changing the network-qos setting in the admin VDC. Nice perk that the MTU shows up correctly on the interface for "show int eth X/Y." 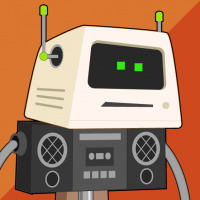 Also, signed up for Kirk Byers e-course for learning Python. Also, read a few pages out of "Python for Dummies." 48 Days till CCIE DC boot camp, and 129 days (approximate) till first lab attempt. Looking forward to keeping up with your study tracking! Good luck! Since I have some delays in deploying UCSD, and need to deploy Jumbo MTU on some 5672s, and 7710s, at work, i decided to go all in on 7710 QoS architecture and try and get that nailed down. Documentation for the Nexus 7710 QoS is squirrely to say the least. Luckily, I do have access to 5K/7K to test it all out. Last night I wrote up three "blog" posts just in MS Word. They aren't published anywhere right now. I never have been a huge proponent of blogging. (I used to have a blog, and actually logged in last night. It's been four years since I posted.) Overall, I think writing up things that can become easily confused, or forgotten, probably is a good course of action to blog about. Working on a forth blog post now for no other reason than to clarify how ingress queuing works on the N7K. Specifically, as it relates to making a custom queuing policy, and potentially setting the CoS. If you pay close attention in the N7K QoS config guide most all the config for QoS is of "qos" type, and not "queuing" type QoS. Thus, It looks like you can create a new queuing policy it just is a little akward how to do it. Most QoS books (including the NXOS book) just goes through standard Class-map/Policy-Map/Service-Policy, and your off to the races. Definitely have to pay attention to hardware architecture. Need to figure out where to post what I am writing up. 45 Days till CCIE DC boot camp, and 128 Days (approximate) till first lab attempt. Finished the blog post on ingress queuing on the N7K. Stayed up til about 2:30 AM finishing it last night. Slept in, and had appointments all afternoon. Today was a bust for studying. I do like the structure that blogging can do for topics that you don't have a ton of experience. In addition, I can easily refer back to them instead of having to completely reacomplish figuring out how to bang it out. Finished up another blog post about being able to mark CoS on ingress with "type queuing" on the default queue in the Nexus 7710. As a side note: some things are never as easy as they first appear. When I was working on the post, or just really organizing my thoughts, verification was a big item. So, I figured, "Hey, I'll use that 5672, throw up some ingress queue and check for a CoS value." No bueno. Turns out there are all sorts of caveats with QoS statistics on the Nexus 5Ks. At the end of the day, I found a bug ID that stated QoS statistics don't work until verions 7.3 of NX-OS. 42 Days till CCIE DC boot camp, and 125 Days (approximate) till first lab attempt. Been out of pocket for awhile. Went to a friends wedding, and did a much needed short vacation. Been dragging my feet getting back on the horse. Need to just keep churning. 29 Days till CCIE DC boot camp, and 112 Days (approximate) till first lab attemtpt. Keeping with going over QoS in general for the Nexus Platform. Been reading the End-to-End QoS Cisco Press book. Been good at refreshing some QoS Knowledge. Once I get through the DC section, I'll head back to labbing. Specifically, I'm still stuck at using "type qos" mutation map to manipulate CoS values. 23 Days till CCIE DC boot camp, and 106 Days (approximate) till first lab attempt. Finally got through a couple hundred pages of QoS design in the End-to-End QoS Design book by Cisco Press. Focused on rehashing the fundamentals, and getting to the Nexus pieces. It helped clear up a confusion that i had with mutation maps. Just need to lab it up, and verify. Now off to execute network changes. 21 Days till CCIE DC boot camp, and 104 Days (approximate) till first lab attempt. Finally, got through most all of the Nexus 7K QoS. Still trying to figure out something with how color-aware policing works. Otherwise, I think I a lesson that I learned a long time ago, is that don't let one item you can't work out completely stop your studies. I am going to take my own advice, make a note that I haven't gotten it to work, and keep moving. Started to go over Python this weekend. Been going over "Learning Python the Hard Way." Also, been going through Kirk Byers e-course for Python for Network Engineers. Probably do nothing but Python today, and make it 30 minutes to an hour a day of Pythong to beat it in my memory. Next, I'll either start labbing LISP, or go back to eVPN. Just got done writing a basic Python script that takes IP Addresses, and does some basic validation testing. It is amazing how I haven't really written any sort of code in 10 years, and the old Java syntax came right out. Had to do some searches on the web for why stuff was failing. Still felt good to go ahead and get the code working. Maybe I use this to rewrite a tool that was originally written in TCL into Python at work. Should be a good challenge. We'll see. Making progress on the coding front. Boot camp is next week. Been trying to cram some items so the experience is that much more beneficial. Generated some LISP labs in GNS3 w/ VIRL images and it was cool to see the technology work. Seeing a cold migration of a host into a non-native subnet was really interesting. Been trying to lab up some VXLAN in GNS3. Went down the rabbit hole and spent an day on getting refreshed on multicast for the underlay replication. Funny how these little pieces of technology stack up, and you have to go back down that technology rabbit hole to verify what you thought. Not to mention if something doesn't look right you have to verify if it is you, or that you are using a virtualized platform, and that feature might not be working. Better to keep working at it than complain I can't get rack access. Currently attending the Micronics 10 Day CCIE DC boot camp. it is good so far. I like Terry Vinson's teaching style. Already seeing some weak areas. Mainly did traditional traditional R&S topcis in NX-OS, and some vPC stuff. Tomorrow is Fabricpath. Need to get back to studying. (TBD) Days till first lab attempt. Day 2 of Micronic's DC boot camp went better than yesterday. Was about 8 1/2 hours of lab time today. Went over a little OTV on the back end. Overall enjoying the experience so far. It is helping me to get in that mindset of how to think about the lab. Tomorrow is supposed to be VXLAN, routing protocols, and storage lecture. how were the remaining days of the bootcamp? There were some ups, and downs. Learned some things. Need to keep my head down and keep studying. Booked my lab date for 09FEB18. 118 days until lab attempt. Spent the whole time since coming back from the boot camp doing UCS Manager related items. I know everyone says that UCS-PE can get you a lot but for someone who doesn't have a ton of experience it is anti-climatic. IE: because you can't boot you really don't know if what you did worked or not. It is better than nothing. However, I have been getting some lab time on real equipment so that has really helped. Doing boot from local disk, boot from SAN, and iSCSI boot, has been eye opening. Need to keep going on UCSM. Want to keep doing a couple scenarios on connectivity policies, and then review the various server policies. 111 Days till first lab attempt. Worked on iSCSI boot last night. Wanted to tie that in with a LAN connectivity policy. Took awhile to make it work. Mostly because I made a typo on the IP of the iSCSI target. In the UCSM GUI once you define the target in the boot policy there isn't a good way to go look at it. The white paper from Cisco actually give you some CLI commands to run. Once I saw that, fixed it pretty quick. GUIs are the rage in networking now but CLI is more efficient some times. As a side note: if anyone is reading this, make sure you spend some quality time with the HTML5 UCSM interface. I used to curse Java. However, some times I would select items in UCSM (in the HTML5 GUI) and click apply, and the values would change from what I selected. There are some other anomalies I have found. Even if you are UCS rockstar on previous version it is worth your time to go through the motions with various labs/tasks just to make sure it works the way you think it should. 108 Days till first lab attempt. Been continuing to mess with various boot scenarios. After doing all sort of FC/iSCSI boot scenarios, realized I hadn't really messed with local boot. Went ahead and did some local disk policies in Raid 0, and 1. Tried to get Storage Profiles to work. It didn't take. Kept getting an error that the storage controller couldn't be configured via OOB. That lead down the refresher path that B Series M2s don't support Inband IP Access. Had to look all that up, and review what was going on. The blade I am using is a B200 M2 so it's a little long in the tooth. Luckily a friend has an C-Series M3 server in his lab, so we can try the feature out with him. As a side note, I have been working about 4+ hours every work day. During the weekends, it seems like I get in around 5 - 8+ hours a day. Still doesn't seem like it is going to be enough to hit my first test date successfully. The bottom line for me is that I need a little bit of a tight deadline to keep me motivated. If I have a test date that is 6+ months out I'll tell myself, "I can watch TV tonight, I have plenty of time." 105 Days till first lab attempt. While I have been studying lately, I haven't exactly worked on posting here. Been working through ACI/UCSC/UCSD, and other topics. Have my first lab attempt this Friday. I have my doubts about making it through the exam on the first attempt. But, I am committed to it either way. 4 Days till first lab attempt.